Here is my 4th of 6 layouts from my Paige's Process class at Big Picture Classes focusing on cross stitching! Hand stitching is something I LOVE to do on layouts, especially when we're going on long road trips or vacations - it's a great crafty project to bring along! I created a floral cross-stitching template which you can find in the class for free and then stitched through white cardstock according to the pattern. I may have messed up a few stitches here and there, or changed the color of thread on a whim, and that's totally okay! 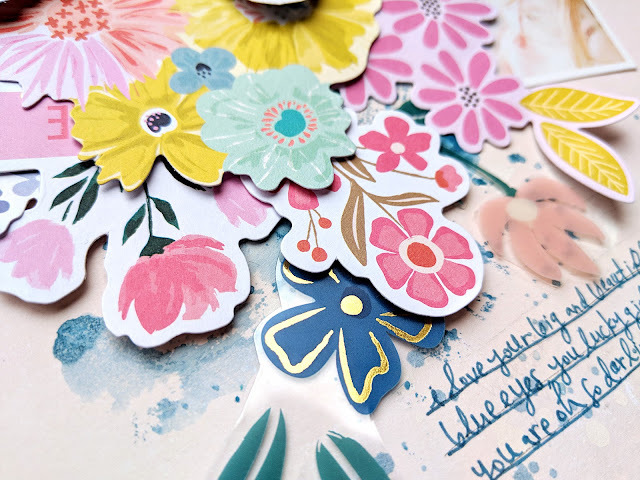 I continued with the floral theme and brought out flowers from Oh My Heart, Turn the Page, and Pick-Me-Up. I fussy cut a few more flowers from the Floral Transparency Paper and then layered everything over the B-side of Paper 05. I did add some hand stitching and mixed media to the background paper before adding the flowers on top. Then came the photo, title, and journaling and the layout was complete! 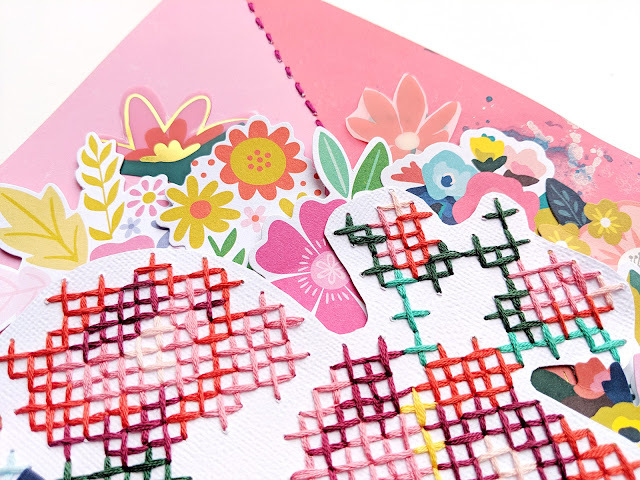 I had a lot of fun with this layout and plan to use the cross stitching template again and change up the colors. 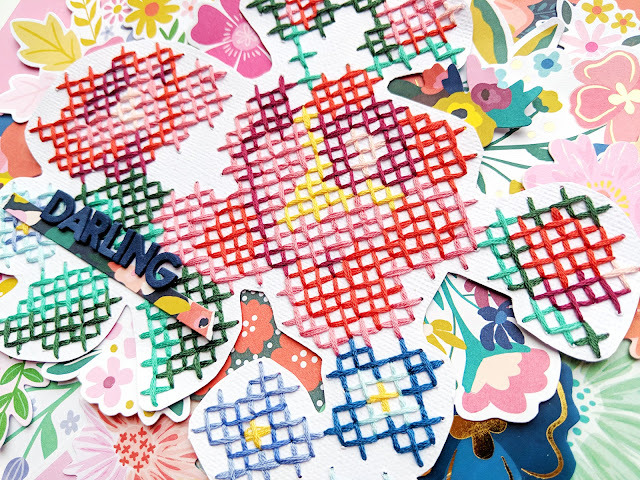 Find the start-to-finish process video, cross-stitching template, and more! in Lesson 6 of my Paige's Process class at Big Picture Classes! Oh happy *sigh*!!! This is absolutely BEAUTIFUL!! 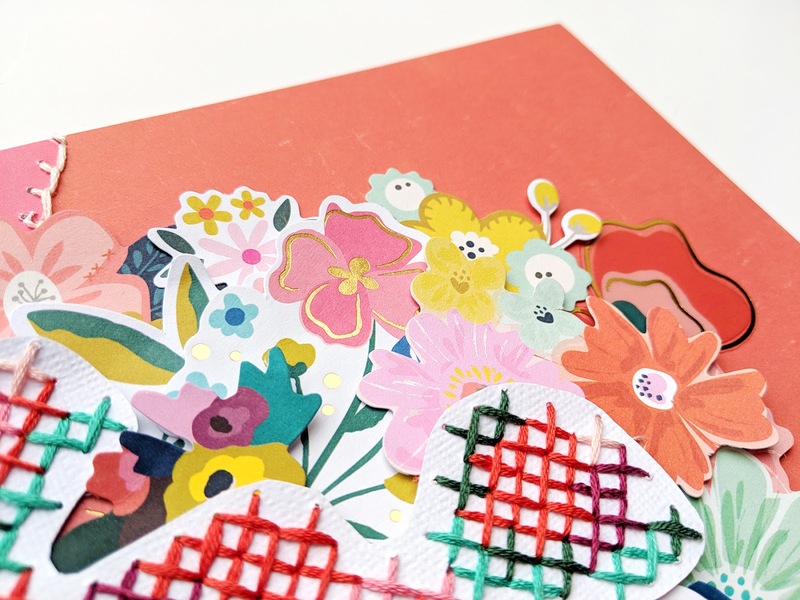 I love love love all those flowers and that gorgeous stitching!!!!!!!!!!!!!! !